The new Raspberry Pi Zero W was designed to be a board to make internet-of-things devices, but a key OS from Google won't work on the hardware. Google's Android Things IoT OS will not work with the small developer board, which is partly a wireless board, partly a gadget development tool. The Zero W is priced at US$10. The Zero W has a 1GHz single-core BCM2835 processor, which is based on the ARMv6 architecture. Android Things does not support ARMv6, so the OS will not work on the board. The OS is specially tuned to work with specific chipsets. The BCM2835 chip is the same in the original Raspberry Pi developer boards. The lack of support of Android Things on Zero W isn't a major concern for Eben Upton, the founder of Raspberry Pi Foundation. "We're hopeful that in time Google will resuscitate the ARMv6 support in Android to allow Things to run on Zero W," Upton said. Upton likes the low power consumption and small form factor that comes with using BCM2835, especially when compared to the faster Broadcom chips on the newer and faster, but larger, Raspberry Pi 3. The hardware specs, like the 512MB of memory of the Raspberry Pi Zero W, are reasonable for Android Things, but the BCM2835 SoC isn't supported, said Dave Smith, an IoT developer advocate at Google. "This part is a bit of a problem for Android, as the platform doesn't really support that [ARMv6] architecture anymore," Smith said in a post on the Android Things page on the Google IoT Developers Community page on Google+. Android Things is supported by Raspberry Pi 3 and boards from Intel. The OS is still in preview and has a lot of growth potential with the emergence of IoT devices. No date has been provided for a final version of Android Things, but features like machine-learning are being built into the OS. The OS will eventually support more boards as usage of Android Things expands. Support for ARMv6 has also been pulled from latest Android OS used in mobile devices, considering the architecture is now more than 15 years old. ARM's core architecture is the 64-bit ARMv8, and the chip architecture is still being improved with performance and power-efficiency features. 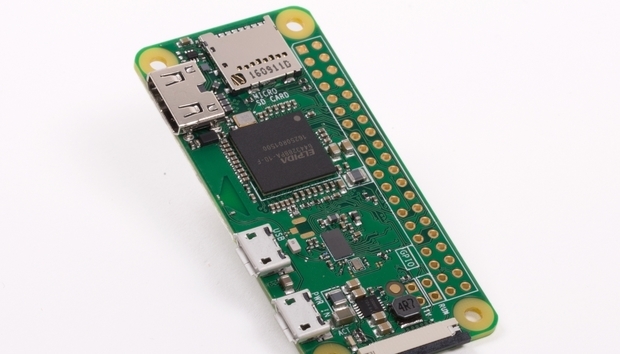 The Pi Zero W competes with other low-cost IoT boards like the $6.99 Orange Pi Zero. The Zero W also competes with popular wireless boards like Particle Photon and ESP32 boards from Espressif Systems. The Zero W could be picked up by many users as an extension of the main Raspberry Pi 3 board, which has sold in the millions. The Zero W supports Raspbian, a Linux-based OS from Raspberry Pi.